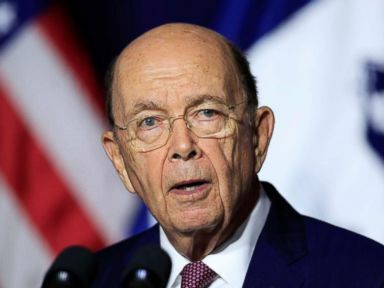 Commerce Secretary Wilbur Ross talked to former White House advisor Steve Bannon in the spring of 2017 about the possibility of adding a citizenship question to the 2020 Census, according to a document filed by the Department of Justice on Thursday. Ross previously testified to Congress that the first discussion of the question was in a letter from the Department of Justice in December 2017. Department of Commerce Secretary Wilbur Ross speaks to employees of the Department of Commerce in Washington, Monday, July 16, 2018. Kevin Manning, a Commerce Department spokesman, said in an emailed statement on Thursday that Ross was responding to "a question about an RNC campaign email, not a direct question about the citizenship question" in his congressional testimony. After being shown a copy of a campaign email in the hearing, Ross was asked "Has the president or anyone in the White House discussed with you or anyone on your team about adding this citizenship question?" and Ross said not that he was aware of. In a filing submitted Thursday in response to requests for more information, the DOJ identified Bannon and Attorney General Jeff Sessions as some of the "senior administration officials" who in spring 2017 discussed adding a citizenship question before the official process began. The filing says Bannon called Ross to ask if he would speak to Kris Kobach, who was Kansas secretary of state at the time, about adding a citizenship question to the census. 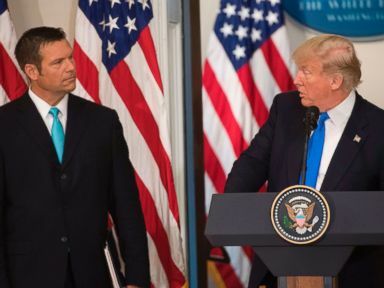 Kobach previously led the administration's voter fraud commission, which critics said was trying to support unsubstantiated claims of widespread voter fraud in the 2016 election. President Donald Trump speaks alongside Kansas Secretary of State Kris Kobach (L) during the first meeting of the Presidential Advisory Commission on Election Integrity in the Eisenhower Executive Office Building in Washington, D.C., July 19, 2017. "Secretary Ross recalls that Steven Bannon called Secretary Ross in the Spring of 2017 to ask Secretary Ross if he would be willing to speak to then-Kansas Secretary of State Kris Kobach about Secretary Kobach's ideas about a possible citizenship question on the decennial census," the Justice Department wrote. The New York Attorney General alleges that Ross lied about how the citizenship question came about, saying in a filing that contrary to Ross's statements the Justice Department initially declined to request the question be added to the Census. The Attorney General says in a response to the filing that Kobach told Ross to add the question so noncitizens wouldn't be counted in drawing congressional districts and that Ross personally pushed for the question without cooperation from other agencies. 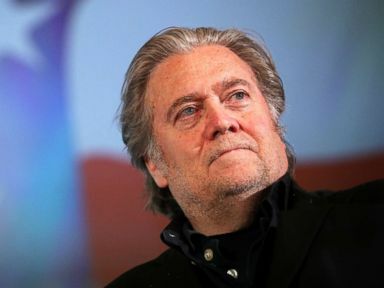 "Early in the secretary's tenure, at the direction of then-White House Chief Strategist Steven Bannon, the Secretary spoke with Kris Koback, the Kansas Secretary of State, who urged the Secretary to add a citizenship question as an 'essential' tool to resolve 'the problem' of noncitizens being counted for purposes of congressional appointment," New York Attorney General Barbara Underwood wrote in a response. In March 2018, @CommerceGov Secretary Wilbur Ross announced that he had decided to add a citizenship question to the #2020Census—contravening the Bureau’s long-held opposition to such a question, and disregarding the conclusions of his own staff that it would undermine the count. The Census Bureau has previously opposed the addition of a citizenship question to the census, some employees and other public officials expressed concern that non-citizens or residents with non-citizens in their family would not want to participate because of concerns about immigration status. Information from the Census, collected every 10 years, is used to determine states' congressional representation and allocate funding for federal programs and resources.